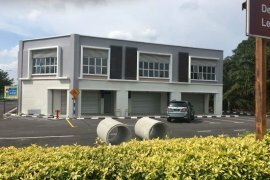 SHOPHOUSE FOR RENTAL TAMAN SAUJANA PUTRA KESANG MUAR. Holiday Plaza Retail for rent. Manhatthan Sovo Suites@ Austin Height For Rent. Eco Boulevard - 3 Storey Shoplot@Eco Botanic For RENT. Bandar Dato Onn 3 storey shoplot. Eco Boulevard - Shoplot@Eco Botanic For RENT.